Click HERE to see Cayetano's Offspring! JNK Cayetano Playing in Baker Lake After Packing In! JNK Cayetano showing off after winning double Best of Show the day before in halter! ﻿We had planned to sell Cayetano after we bought CTL Sulu who is his half brother through the sire. At weaning, Cayetano's legs were all over the place and we dismissed him as being a potential breeding prospect. 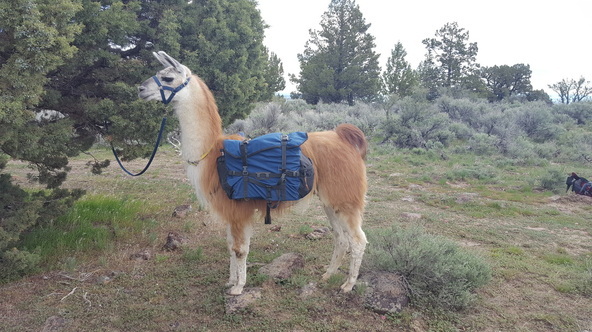 Cayetano was sent out as a companion loaner for another young male that was the same age and we did not see him for over a year. We finally ended up getting him back in the Fall of 2012 and to our surprise his legs had straightened and he had matured into a very nice male. After seeing what is available in the packing community, we have decided to hold back anything with outcross lines and superior conformation. It is nearly impossible to find an outcross classic male with good conformation and some sort of packing history in their lines. Cayetano's sire is a PLTA Master Packer. 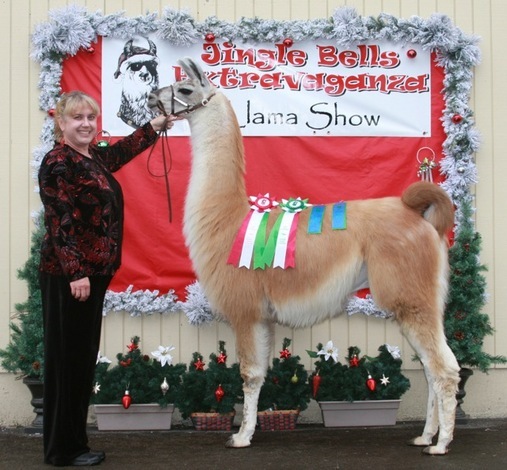 His Dam was an ILR Show Division multiple title winner and our premier classic female. Cayetano hails from Rocky Mountain Jester, Bett's Supaya, Sky Rocket and other great packing lines. Cayetano entered the showring in 2013 and racked up 8 undefeated Grands in four shows. 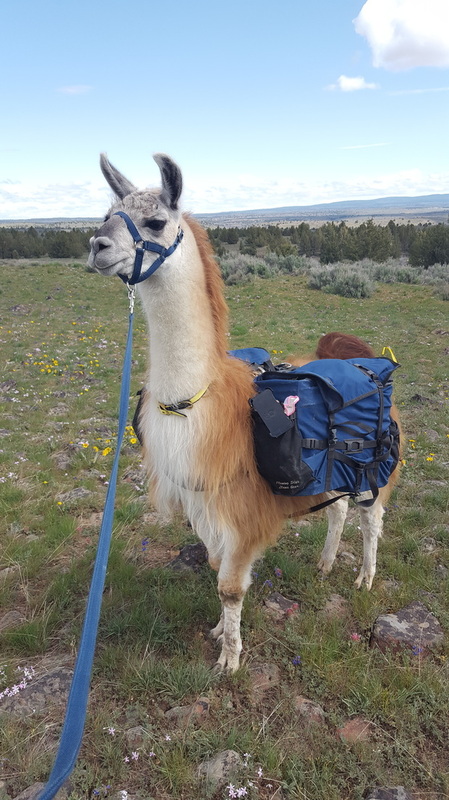 He also attended his first PLTA Pack Trial and finished the Basic Level with flying colors (thank you Carolyn Mathews). In 2016 Niki completed two Advanced Levels with him too. We will be using him sparingly on some of our girls that are not related to him down the road. As of May 2017, Cayetano has 22 Grand Champions in halter and is undefeated! He also was a recent double Best of Show Male. Since Cayetano is not breeding all the time, it seemed natural with his disposition that he could be doing therapy work. So Cayetano was evaluated in March 2014 (and again in March 2016) and passed his evaluation as a Complex Registered Therapy llama. In our opinion disposition is just as important as genetics and conformation! His temperament is not by accident, his half sister and brother by the same dam are also registered for therapy work. Cayetano has wonderful manners and a very sweet and easy going disposition. 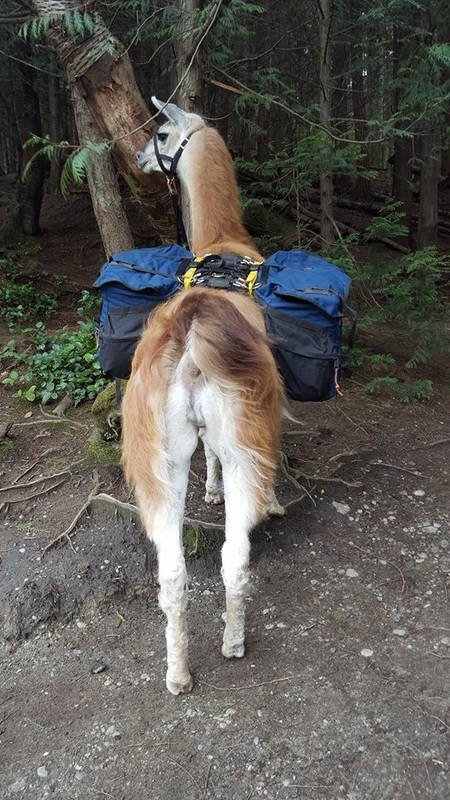 He is a dream on the trail too! Cayetano's first babies are here and they are pretty darn nice! 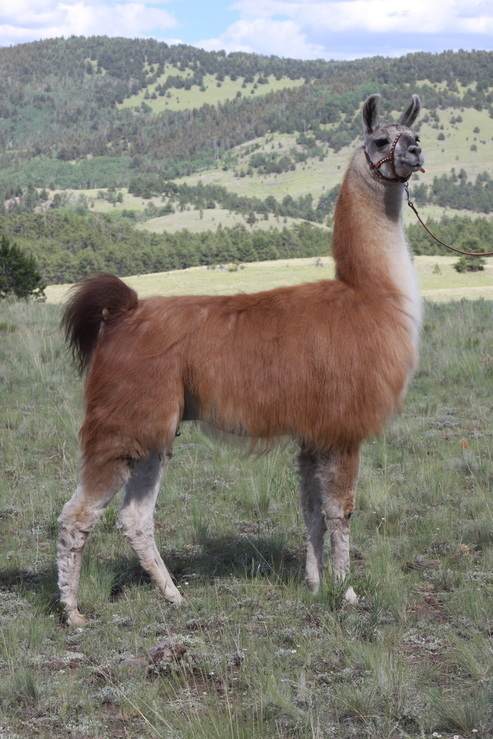 All of his babies have his calm disposition, nice classic coat and strong structure. 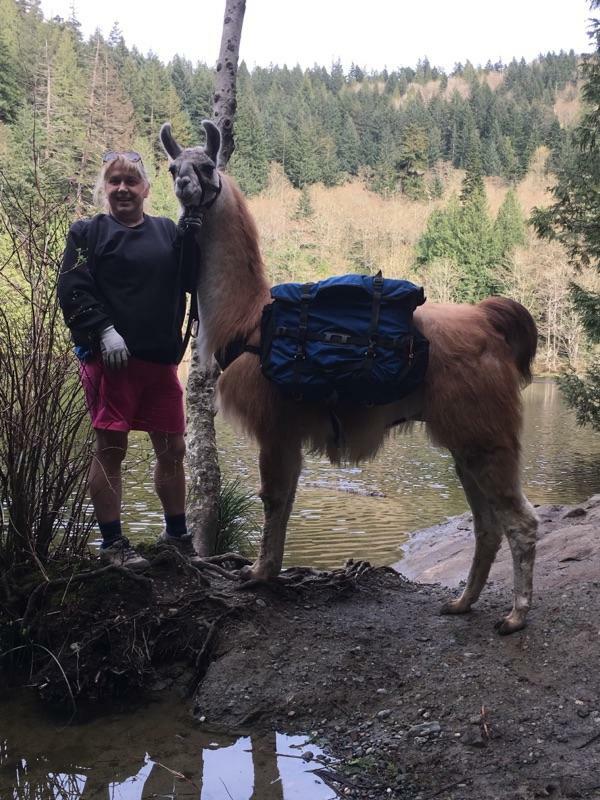 llamas and by PLTA Master Packer Sires). Cayetano was finally defeated in halter by his little brother JNK Tobias's Trask! 22 Grand Champions in halter!